Come and enjoy great playing conditions from tee to green. Our Master Superintendent, Mike Pellerin, and his team are working hard to make your on course experience one you have to tell your friends about. Arrive early and take advantage of our practice range that is included in your green fee. After warming up step onto the first tee and split the fairway. You can walk and use one of our complimentary push carts or ride in our new fuel injected Yamaha gas carts. Legacy, the original nine (1925) was crafted by Stanley Thompson. The holes wind back and forth across a ridge of gravel and through mature trees. Sunset (1956) is more forgiving of wayward shots but features some of our most challenging par 4s. Sunrise (1995) is still referred to as the new 9 by locals. Accuracy is the key here as 4 holes feature water. Play the 8th hole and decide which side of the pine trees to play on the divided fairway. If you finish 18 and have time for another 9, then drop into the Pro Shop to inquire about a replay- paying only for the cart if we can accommodate you. When you have had enough golf then relax on our patio with your favorite beverage, relive your game and enjoy the view. There are no Gimmie Golf packages available for Saugeen Golf Club at this time. Click here to sign up and get notifications when these packages become available. 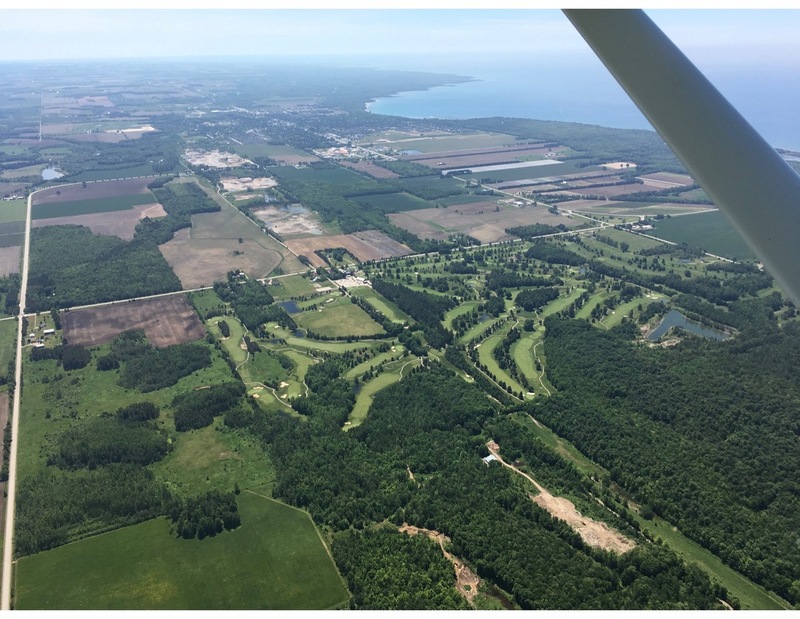 There are no discount green fees available for Saugeen Golf Club at this time. Click here to sign up and get notifications when these packages become available.